Good Sunday Afternoon, to all of you! I have been reading some of my fellow blogger’s positive post on the subject matter of self-care & self-soothing methods to make their overall all lives improve and make them feel better. So, I thought, what the heck! I’d join them. Slept in until almost around 7:30 am. 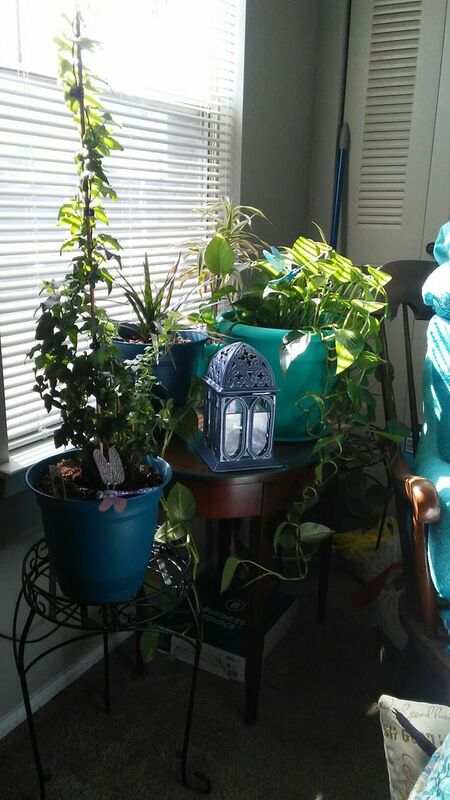 I love productive days, especially my potted plants in my bedroom. That always makes me feel good inside. Such a great idea of bringing plants in an area. Good job on a productive day. I’m glad you had a productive day! My self-soothing skills need a lot of work. I was self-indulgent today and walked and then worked on my blog. I’ve got to be inspired and clean the house better, but that will be in the mornings some and next weekend when it is supposed to be rainy. I just took advantage of the energy level I had. Now I feel broken and very tired. Off to bed for me. You too Beckie – just finished catching up on “Reader” – I see you subscribe to R.S. Noel too – powerful writing for someone so young (though I just discovered he is not as young as I thought he was) … still a smart cookie. Pleasant dreams.